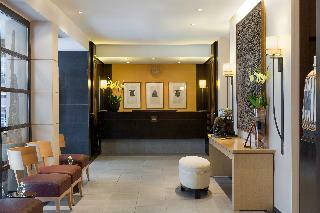 This hotel is situated at the heart of the city. Beautiful Lake Geneva and the wonderful, picturesque old town are both within walking distance of the property. The nearest public transport links are conveniently close to the hotel, while Lausanne can be reached in 45 minutes by car. This establishment was built in 1974 and consists of 156 double rooms spread over 7 floors in the main building. 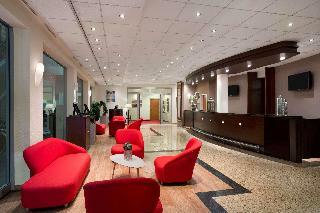 Various facilities are available to guests, including a vast foyer with a currency exchange desk and a conference room. The tastefully furnished and stylishly decorated rooms all come with an en-suite bathroom and feature satellite/ cable TV and Internet access. Situated in the heart of Geneva, this welcoming hotel boasts delightful colonial, Indies-inspired furniture and services that will cater for needs of even the most discerning guests. The main railway station is situated just 600 metres from the property while the enchanting Place des Grottes and the Institute and Museum of Voltaire with Library and Archives are also easily reachable on foot. Visitors may also relish the opportunity to walk along the waterfront of the Lake Geneva and enjoy the views over the Mont SalÃ¨ve and Mont Blanc in the foreground. This impressive hotel features spacious and bright rooms fitted with chocolate-brown furnishings, rich bedding and cutting-edge amenities. Travellers may also indulge in refined cuisine served at the award-wining restaurant and take advantage of the fitness area of the sister hotel situated just at 100 metres away. 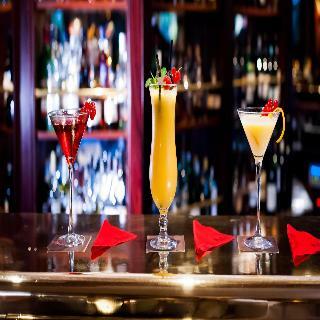 Inspired by the principles od Feng Shui, this hotel is located in the heart of Geneva, close to Lake Geneva and the train station as well as within a short distance of many shops, restaurants, lively bars and nightclubs. 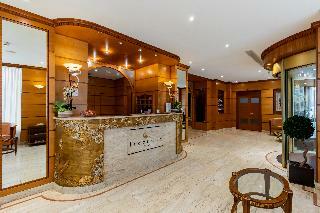 Facilities include a foyer with a 24-hour reception desk, safes, currency exchange and lifts. In addition, there is a public Internet terminal with free WLAN access, a business centre as well as laundry and room services. A car park and garage facilities are available to those arriving by car. This elegant upper class hotel is located in the heart of Geneva's shopping and financial district with numerous shops, bars and restaurants. A worthwhile excursion is to the nearest skiing area, that is easily reached in about an hour. The nearest train station is only about 5 min from the hotel and the airport is 15 min away.Â Â Built in 1872, this hotel includes 4 floors with a total of 45 rooms. 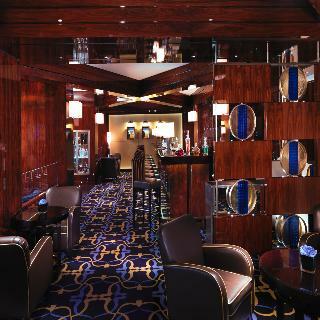 Guests are offered a welcoming lobby with lifts, hire safes and reception open 24-hours. 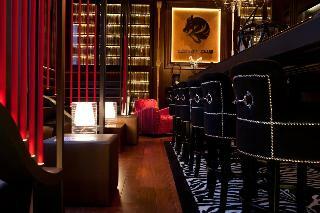 There is also a cosy hotel bar and an air-conditioned à la carte restaurant. Business guests may make use of the conference room.Â Â The elegant rooms and suites are all fully - equipped as standard.Â Â The hotel offers its own gym with a private sauna.Â Â Breakfast is available to guests each morning. 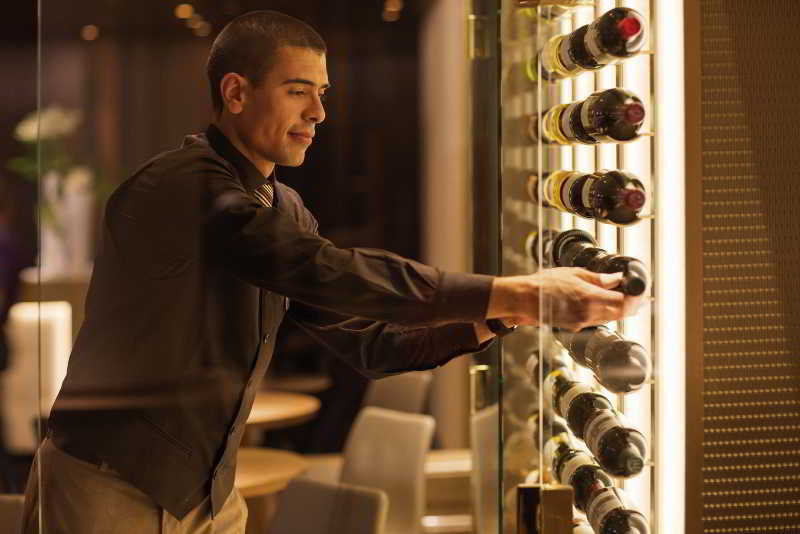 At lunchtime and in the evenings, guests may select dishes from the set menu or choose the à la carte option. The Best Western Hotel Strasbourg is an elegant 3-star hotel, offering the services and facilities of a first class hotel. It is centrally situated within walking distance from the railway station, the lake and the business district. Travelers will be pleased to know that we have a multilingual staff, currency exchange and concierge. We have comfortable rooms with all amenities, such as remote controlled cable television with CNNÂ®, dataports and coffee/tea maker upon request. 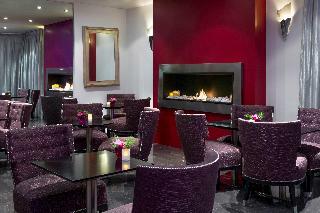 The Best Western Hotel Strasbourg is located in the heart of the business district. The city tax of 3.30 CHF per person per night is included in the room rate. 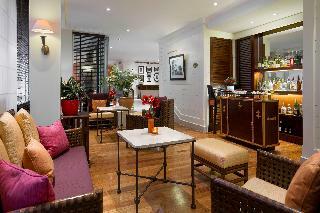 This 3 star hotel is located in the city centre of Geneva and was established in 1830. It is close to the Jet d'Eau and the nearest station is Cornavin. The Hotel has a restaurant. Located opposite the Cornavin main train station, the Hotel Warwick Geneva is just 300 metres from the Lake Geneva and only 6 minutes by train from the International Airport.Shopping is possible in a department store found within a 5-minute walking distance or in an adjacent shopping mall located at the Train Station 7 days/7.The 167 rooms of the hotel are all equipped with air-conditioned, satellite and pay TV, a safety deposit box, free tea and coffee making facilities, slippers and bathrobe and a marble bathroom.Free Wi-Fi is available in your room and all the public areas. All guest staying at the Warwick Geneva will have a free access to the Silhouette Sports Club, located only 2 minutes walking distance.Upon arrival a free Geneva Public Transportation Pass will be at the disposal of our guests for the all length of their stay.The modern on-site restaurant Téséo serves international and cuisine seasonal Swiss, and other dining options include Indian, Chinese, American, Thai or Swiss restaurants in the neighbourhood. A continental breakfast is served at the bar (CHF 14.- per person) or in your room (CHF 16 per person), while a buffet breakfast is available at the Téséo restaurant (CHF 29 per person). 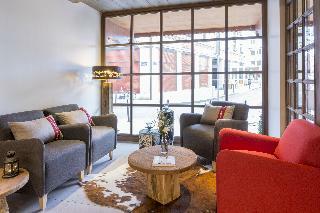 This hotel is situated in the Carouge quarter of Geneva. The hotel is located close to the city centre, enjoying ease of access to the main attractions that the area has to offer. The hotel enjoys direct access to the shopping and leisure centre La Praille and Geneva Stadium. This hotel is a great option for discerning business and leisure travellers alike, lying within easy access of prominent points of interest. This charming hotel enjoys an attractive architectural design, welcoming guests into the elegant surroundings of the lobby. The guest rooms are superbly appointed, and come well equipped with modern amenities. Guests are sure to appreciate the wide range of facilities and services that the hotel has to offer. 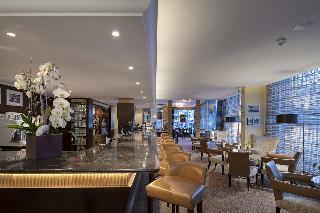 This 4 star hotel is located close to the airport of Geneva and was established in 1977. It is a short drive away from the The Lake site with waterfounta and the nearest station is Geneva Airport. Business travellers can take advantatge of the 24-hour business centre, spacious events centre and free Wi-Fi.The Hotel has 2 restaurants, a bar, a conference room, a coffee shop and a fitness centre/gym and Wi-Fi.All 302 rooms have contemporary décor, they are equipped with minibar, hairdryer, safe, ironing set and air conditioning. 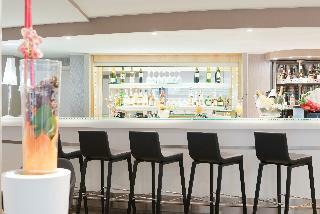 Discover the Novotel GenÃ¨ve Centre hotel, a stone's throw from Lake Geneva. For business trip, family vacation or a romantic weekend break, relax and unwind in our spacious and comfortable rooms. Extremely convenient for business travellers, this 4-star hotel is close to a number of prestigious institutions and boasts five meeting rooms. Take a relaxing break in the sauna or work up a sweat in the fitness room. Taste our healthy cuisine in the modern restaurant. Life is good at Novotel.